In April, we told you about how flakka, a synthetic drug easily ordered online from China, has become “the new crack” for many South Floridians. Through the first half of last year alone, Florida saw more than 600 confirmed seizures of alpha-PVP — the main active ingredient in flakka. Most of them were concentrated in just three counties. The epidemic has shown no sign of abating this year, or even recently: Eight individuals have died in the last month as a result of flakka overdoses. Earlier this month, the Florida Attorney General Pam Bondi issued a statewide warning to parents about its dangers. 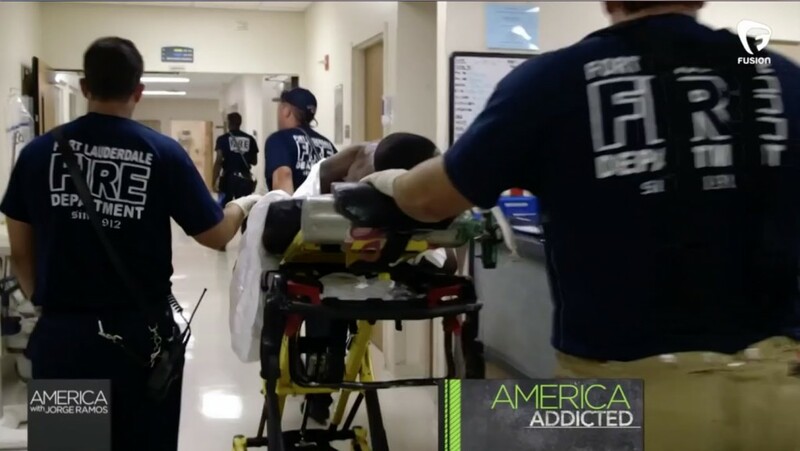 We spent 24 hours in an ambulance riding through Ft. Lauderdale chasing reports of flakka. The first call came in in less than an hour.